I read this article and wanted to share it with you: "Dear Sarita, Why did you choose that book?" 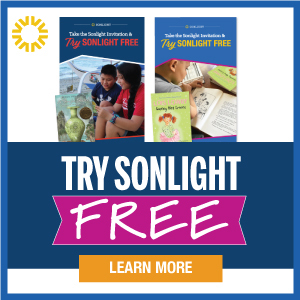 https://blog.sonlight.com/dear-sarita-why-did-you-choose-that-book.html. I've received a lot of feedback in 28 years. I treasure the stacks of letters from Sonlight parents who love the books I choose. But occasionally, I get letters that criticize—or even express great disappointment—in the titles I so carefully include in Sonlight's programs. While I greatly prefer the over-the-top-positive letters (I am human, after all), I've come to appreciate the harder letters as well in which people question my inclusion of controversial books in Sonlight. I'm grateful for all moms who invest enough time in their children's education to be able to critically evaluate what their children are reading … even if they disagree with my selections in the end. Many parents who send their children off to be educated by someone else have little knowledge of what their children are learning. They trust the system has worked out all the kinks. They trust the school format provides all the oversight and covering their students need. So, kudos to all moms who are involved enough with their children's education and training to be able to evaluate their curriculum. May you continue to critically evaluate, wisely critique, and demonstrate for your children a lifestyle that follows the example of the Bereans—who carefully studied the Scriptures to see if what Paul said was true (Acts 17:11). 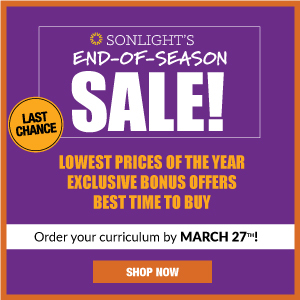 Of course, I believe Sonlight provides a balanced, Christ-centered education. And thousands upon thousands of families worldwide agree. But I never want kids to just swallow someone else's view hook, line, and sinker. I want them to think critically and evaluate for themselves using Biblical principles. 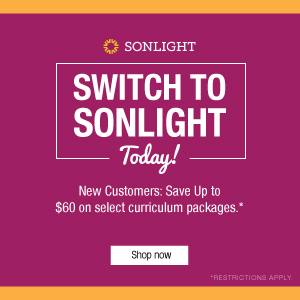 That is exactly what Sonlight's educational approach trains students to do. So if you ever come across a book you disapprove of in our curriculum, consider it a chance to demonstrate discernment. I think most families choose to read such books with their children and discuss the sticky content. This practice leads to incredible conversations that help you shape your children's values. But you are certainly welcome to simply skip a controversial or troubling book as well. If you do skip a book and let me know about your disappointment, I'll remind myself as I carefully review and digest what you share that I'm hearing from a parent who has modeled discernment for his or her children. And I'll be grateful for your involvement in their education—and mine! P.S. 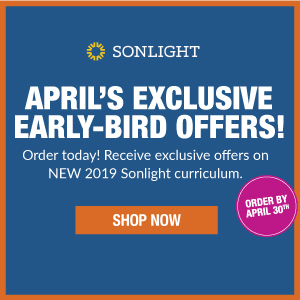 If you're interested in how I choose books for Sonlight's programs, check out What it Takes for a Book to Become a Sonlight All-Star.